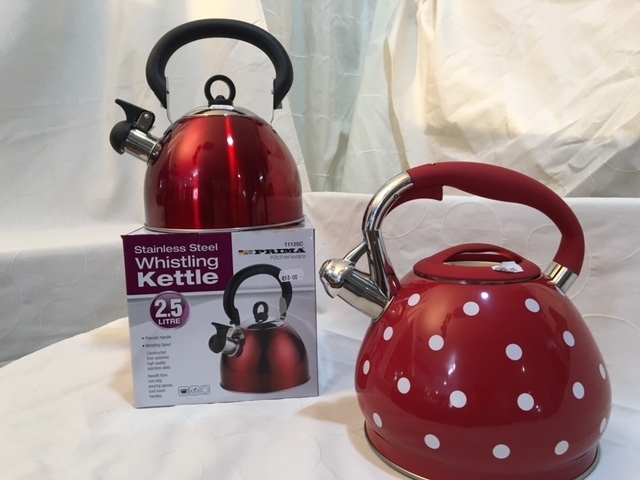 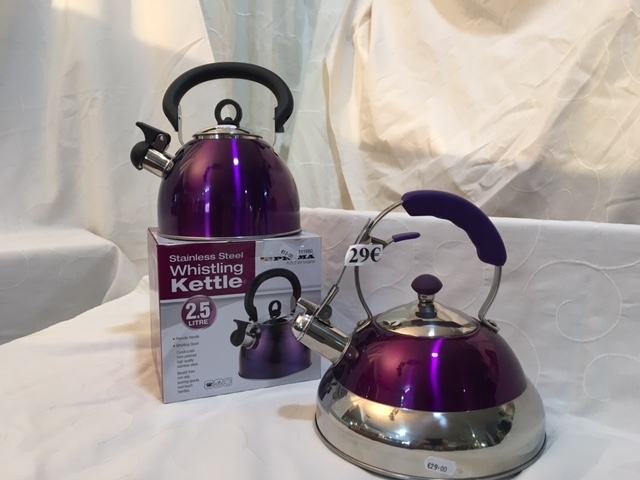 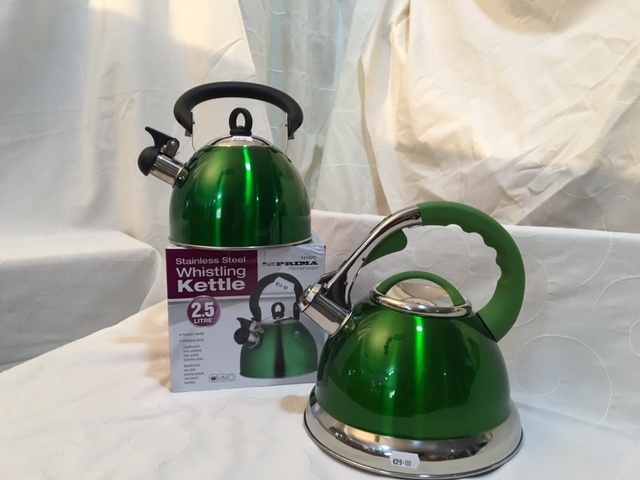 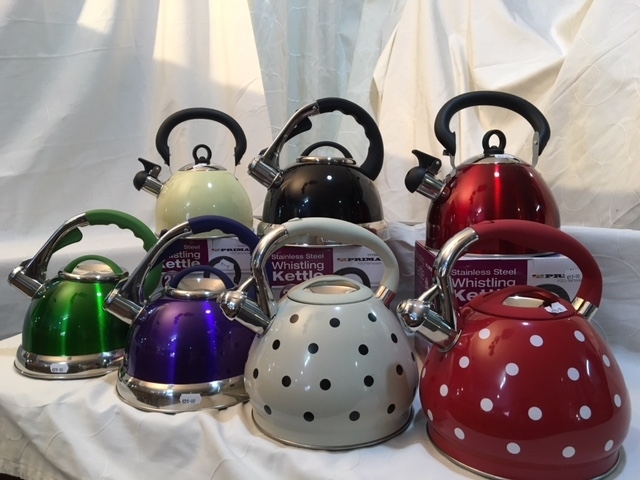 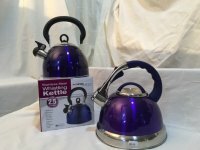 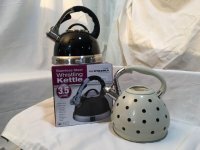 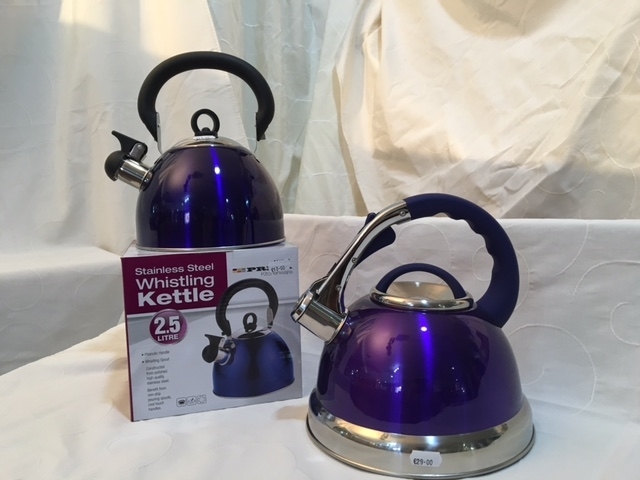 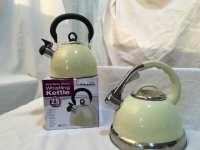 Stainless steel whisting kettles in a range of colours including red, green, purple, cream, black and spotted. 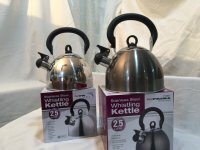 In 2 sizes 2.5 litre and 3.5 litre. All have a cool touch handle and non drip spout. Suitable for gas or electric.